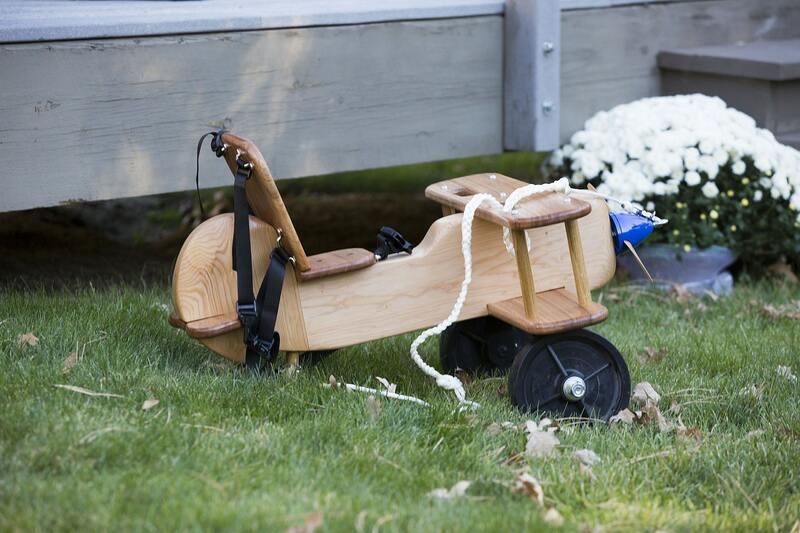 This listing is for one set of plans to build a wooden biplane children's ride on toy with rocker. The plane easily attaches to the wooden rocker or can be used separately so the child can scoot around. The full plan set include 6 full color sheets of fully dimensioned CAD drawings and full size patterns. The full size patterns are perfect to cut out, attach directly to the wood, and use to drill and cut through to eliminate many of the complications of layout. Plans are printed in full color at 24"x36" and shipped rolled in a durable tube. Also included with both plan sets is an instruction packet for the plane and rocker. The instructions are quite thorough and include over 20 pages of guidance, tips, and alternative processes for many of the steps. A full parts/hardware list, tool list, and bill of materials with part numbers is included. Construction uses common lumber sizes and common tools. A hardware parts kit is available under a separate listing. This kit includes all screws/bolts/metal hardware for both the plane and rocker plus the three wheels for the plane. Check out my other items if you are looking for a finished plane instead of plans.